Communication is crucial for everyone and every nation. This includes the tools of communication and the language of communication. In this article, I will concentrate on the language of communication. Language and the art of communication make us human or to put it another way, it is the essence of our humanity. In many countries, there is a national language. For others like Kenya, there is a national language which is Kiswahili and an official one which is English. Tanzania was able to create a homogeneous society by promoting Kiswahili to be spoken by every one in the country. This helped Tanzania overcome ethnicity with the leadership and vision of its founding father the late President Julius Nyerere. It was therefore understandable when in years that followed, Tanzania banned vernacular media in that Kiswahili had replaced vernacular in functional terms. Today, any Tanzanian can live anywhere because they are united and bonded by one language. Anywhere belongs to a Tanzanian. Their identity is Tanzanian; not Chaga or Sukuma or some other tribe. Tanzania is hailed as the most functional homogeneous society in Africa. 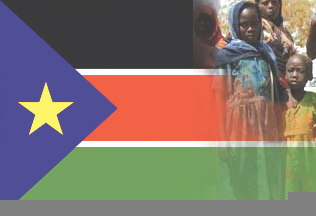 Southern Sudan has a major challenge in that the tribal identity is so strong that some speculators have even talked of a possible south – south war in not too distant future. In other words there is a possibility of ethnic clashes between tribes as there is also a possibility of racial clashes between Arabs in the North and Africans in the south moreso when the protracted civil war had an element of racial conflict. People of different races and those of different tribes consider themselves different instead of all being united as Sudanese. One is first a Dinka and then a Sudanese or a Shilluk then a Sudanese instead of being a Sudanese first, then Dinka or Shilluk. That goes on to marking tribal territories as if we have not arrived into the 21st century. This is a problem throughout Africa, a big problem which denies competent and qualified citizens opportunities because they hail from a “wrong” tribe to some decision makers. It is even assumed that resettlement and reintegration of Sudanese who were uprooted by the war can only be successful if they are resettled in their original areas despite the fact that many of the returnees from neighboring countries have been detribalized by circumstances that they speak English and Kiswahili. The big question which thinkers and decision makers should wrestle with is: do we need a national language. The answer is likely to be; yes. Then the harder question becomes; which one? There was a thinking that Arabic was a language of oppression which we should therefore walk away from whether it is Juba Arabic of classic Khartoum Arabic. The thinking goes on to contend that while the North tend to look to the Arabic speaking Middle East, South Sudan tends to look to non- Arabic speaking East Africa. As such, the argument continues, South Sudan should therefore adopt a language that facilitates its communication with East Africa particularly when the referendum will result in breaking away from the North. Kiswahili is presently spoken by over 90 million people from East Africa to DR Congo, Rwanda, southern Burundi and northern Mozambique. It has thus become one of the official languages of the African Union. English on the other hand is the most powerful language in global communication. It would be interesting to read the views of Sudan Mirror readers. A national language will need to be developed by becoming a compulsory subject in schools. The aim being to develop a language which will facilitate language between all Sudanese and at the same time promote unity of purpose. After all, the essence of nationhood should include having one national language, one nation and one flag. In this way we should be able to overcome the confusing situation where English is commonly used in GoSS ministries yet in some essential departments such as Immigration Department, Arabic is used. For the sake of promoting social and national cohesion, we should discourage the use of local dialects in public offices. That habit only encourages the spread of tribalism. Let us develop a nation where all citizens can communicate with each other at all levels.